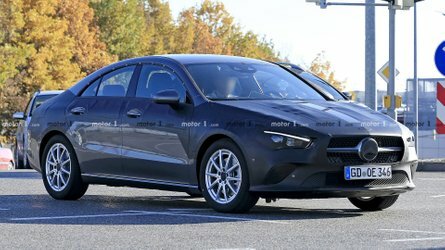 Lately, we’ve been bombarding you with spy shots of the next-generation Mercedes CLA, and today we are able to bring the most revealing batch of images to date. While we have to admit that it does bear a striking resemblance to the regular A-Class Sedan, we’re still hoping there’s something exciting hiding underneath that thin strip of camouflage. There was a rumor back in May 2017 suggesting the new CLA would take design cues from the AMG GT concept, which went on to become the GT 4-Door Coupe. However, we just don’t see it. The shape is slightly sleeker than what you get with the A-Class Sedan and the headlights look cooler, but it remains to be seen whether that’ll be enough to differentiate the two compact cars. Looking virtually production-ready, the new CLA will be slightly more expensive than the sedan from where it will inherit just about everything: interior, engines, gearboxes, technology – you name it. 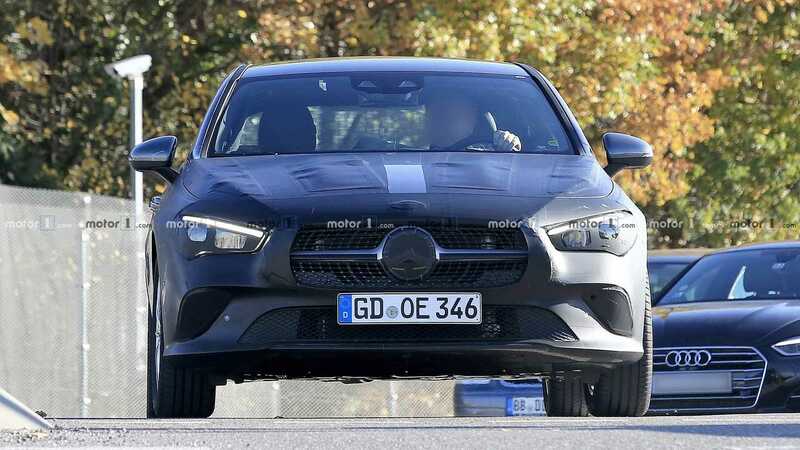 Much like the first-ever A-Class Sedan with Mercedes’ entry-level AMG model, the forthcoming A35 Sedan, there’s also going to be a hotter CLA carrying the “35” suffix with a little over 300 horsepower, all-wheel-drive, and a seven-speed auto. Further down the line, the CLA45 will offer more than 400 hp, a new drift-enabled 4Matic system, and an eight-speed automatic transmission. While some will question Mercedes’ decision to roll out a new CLA, it’s a good thing the three-pointed star will be doing another CLA Shooting Brake. The compact premium wagon was seen just a few days ago undergoing testing and should be out within a year after the four-door coupe’s reveal. Speaking of which, the CLA’s debut is likely around the corner taking into account the minimal camo the prototype is carrying. If it won’t be in Los Angeles at the end of this month, expect to see it in January 2019 at NAIAS in Detroit. Worst-case scenario, it will debut in March at the Geneva show, although we probably won’t have to wait until then.